26th December 2018 - Dubai, UAE. Futuristic megacity with modern towers covered in mist. 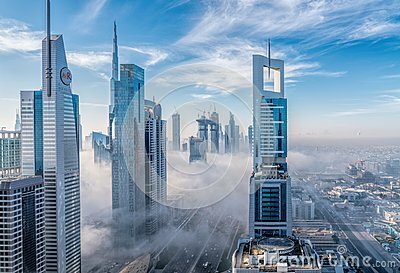 Foggy morning in Dubai financial district, spectacular scenic city panorama.